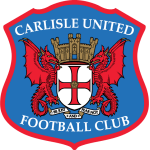 Carlisle vs Mansfield Town predictions as they meet in League Two this weekend. With both teams in top form at the moment, who will come out on top? Read on for our preview of the match and all our free betting tips below. Following the departure of boss Keith Curle over the summer, it is fair to say that Carlisle United fans would have been apprehensive about what the season ahead would hold for them, but although it has been a bumpy ride so far, their form over the festive period has put any doubts to bed. This weekend they have the opportunity to continue their good form when they welcome Mansfield Town, another side who have been in excellent shape to Brunton Park. The hosts come into this match having claimed an excellent five wins in a row in the league but it is not just the fact that they have been winning which is impressive. The Cumbrians have managed to find the golden touch in front of goal and those same five matches has seen the side score an impressive 17 goals. It is a good job they have been so effective in front of goal too, as they have been pretty lackluster at the back at home and they have conceded in 77% of their home matches. One man at the centre of the recent good form of Carlisle is midfielder Jamie Devitt. The 28-years-old may only have scored seven times in 22 appearances this season, but with four of those goals coming in his last nine matches, he looks like a good bet to find the back of the net once again when he faces off against Mansfield this weekend. 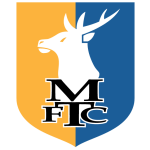 Making the trip to Brunton Park is a Mansfield Town side who are also in excellent shape at the moment and the visitors go into this match having not tasted defeat in their previous 17 away matches. The visitors had a slow start to the season but were always considered to be one of the strongest sides in the league and, with a run such as the one that they are on, it should come as no surprise to learn that they are right back in title contention. The excellence shown by both of these sides of late suggests that we should be in for a thrilling affair in this contest as neither side will want to take a backwards step. The fact that the hosts frequently concede on home soil means that they should take the game to their visitors, and given that they have been expertly finding the back of the net of late, we think that backing the Cumbrians to score over 1.5 team goals is the way to go in this fixture. Carlisle have won their last five matches. Carlisle have conceded at least one goal in 77% of their home matches. Carlisle have scored two goals or more in each of their last five matches. Mansfield have been undefeated in their last 17 matches. Mansfield have scored in 83% of their away matches. Mansfield have been undefeated in their last 12 away matches. Mansfield have scored in each of their last six away matches. 31% of Mansfield’s conceded goals occurred after the 75th minute.